All DrumsTheWord products are protected by our 30 Day Money-Back-Guarantee“. 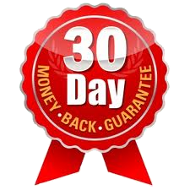 If within the first 30 days of purchase you are not completely satisfied with the content or service, then you are entitled to a full 100% refund, no questions asked. Simply email rob@drumstheword.com with your order number and date of purchase for your full refund.